As the youth of St. Joseph’s Catholic Parish, St. Joseph Young Church strives for holiness in every aspect of our lives by seeking to encounter Jesus Christ daily, and by leading others to encounter Him as well. Don&apos;t miss the opportunity to encounter Christ with thousands of youth accross the nation! 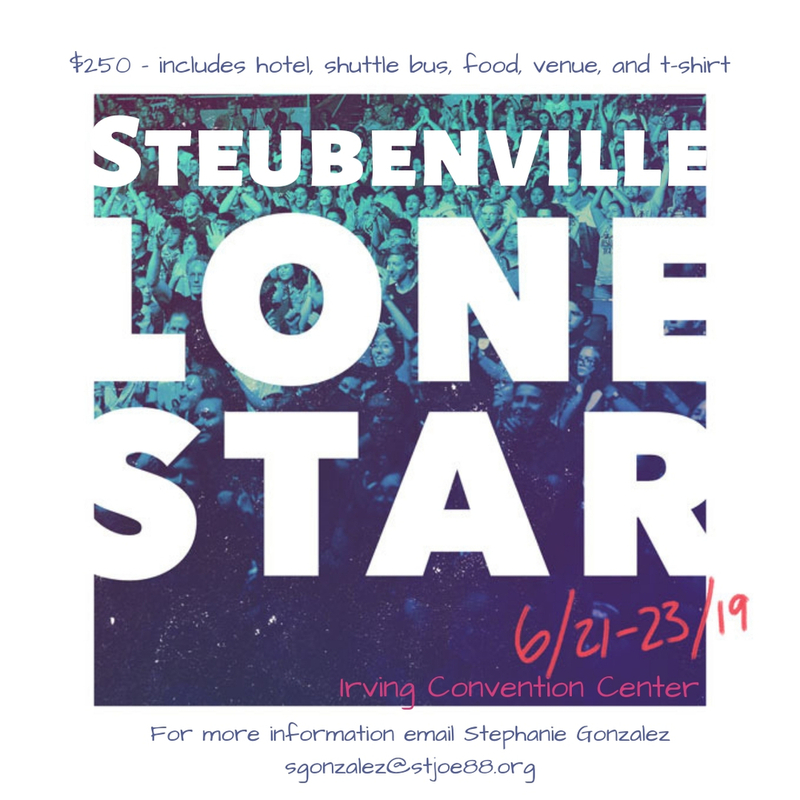 Steubenville Lone Star 2019 will be June 21-23! Go to the event on Life Teen&apos;s Calenfar for more information.